Superdry men's Athletico track top. A must have for after the gym, this track top has been designed using four way stretch technology, making this a great comfort piece. The track top features a zip fastening, two zipped front pockets and a panel design across the chest. 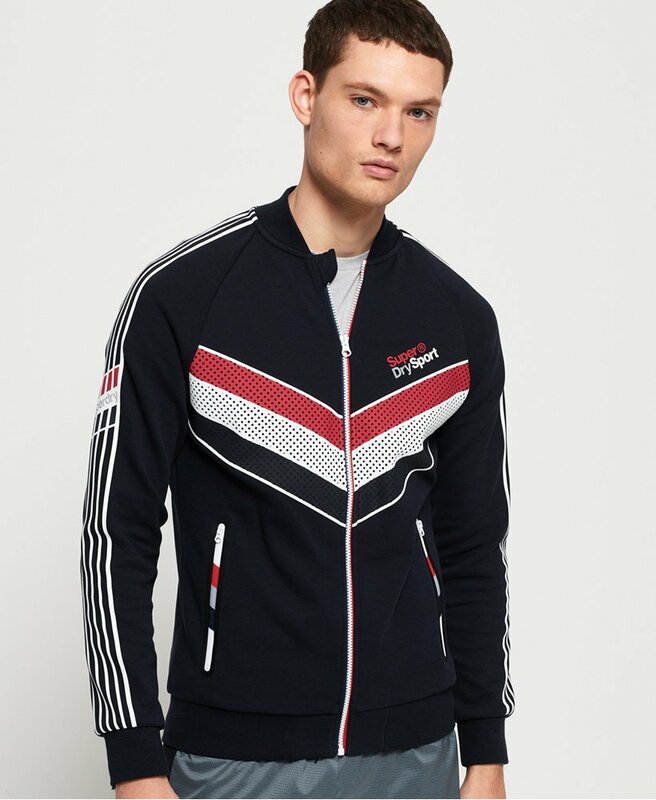 The track top is completed with stripe detailing down the sleeves, a small Superdry Sport logo on the chest and larger logo design on the back.